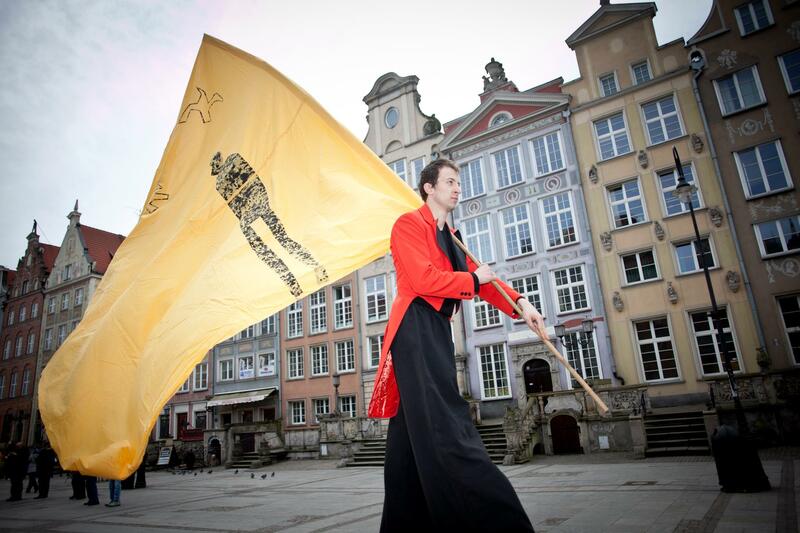 The competition entitled ‘The European Poet of Freedom’ Literary Award is organized by the City of Gdańsk. The award aims at honouring and promoting phenomena in poetry that deal with one of the most crucial subjects for contemporary readers – freedom – and, at the same time, are characterized by outstanding artistic values. The award may be presented to a living poet from Europe – viewed according to its geographical criteria. A team of seven translators of fiction is the only subject entitled to nominate books to the award. The members of the team change every two years and are invited to each edition of the award by the Mayor of the City of Gdańsk. 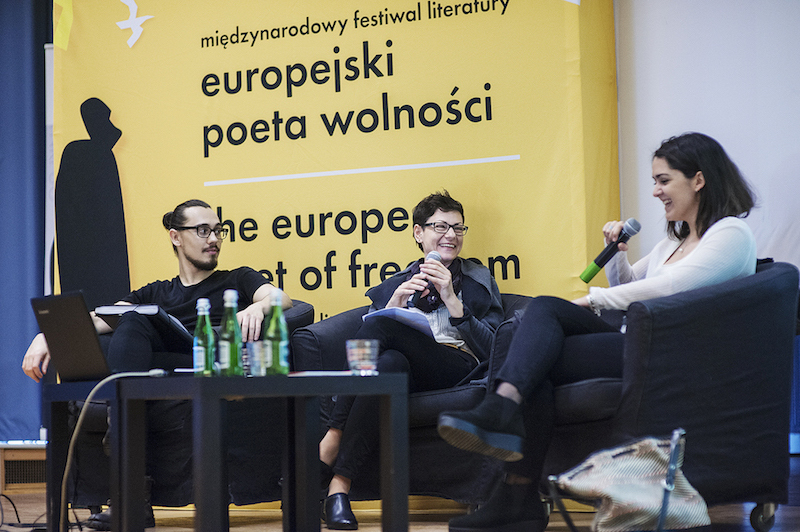 The fifth edition of the International Festival of Literature European Poet of Freedom will take place between 23rd and 25th March. The event will gather numerous guests from Poland and other countries, including the poets nominated for the Award. 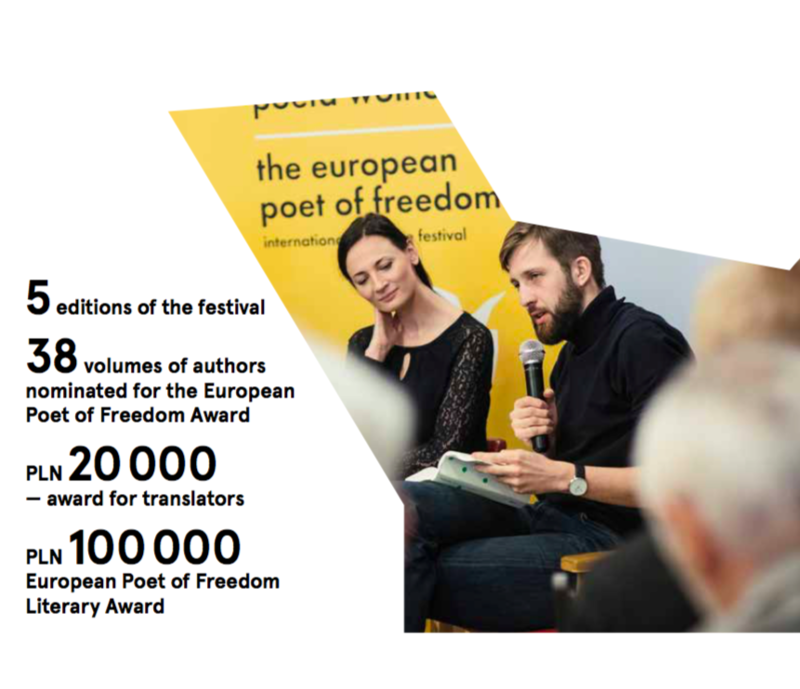 The European Poet of Freedom Award will also be granted to the best translation of a poetry book. The laureates will be announced during a ceremonial gala on the last day of the Festival. The Laureates will be chosen by the jury composed of Krzysztof Czyżewski, Paweł Huelle, Andrzej Jagodziński, Zbigniew Mikołejko, Stanisław Rosiek, Anda Rottenberg, Beata Stasińska and Olga Tokarczuk. 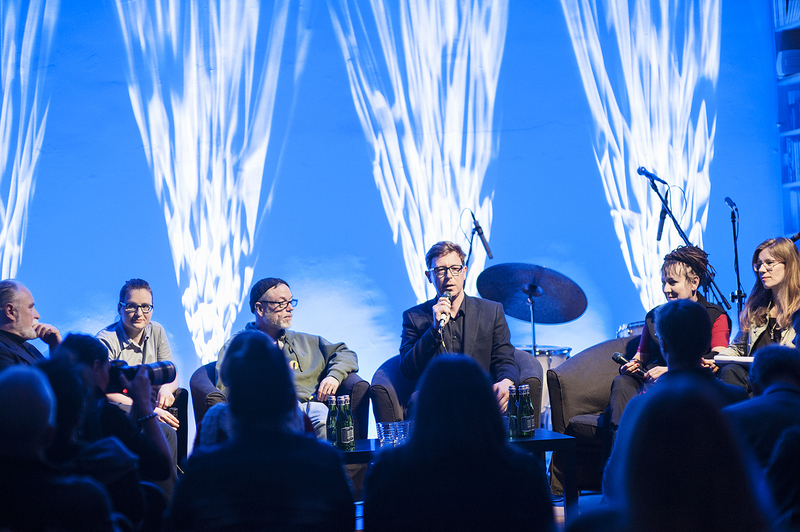 Along with meetings with the authors, the programme of the festival will include debates and confrontations, critical quarter hours of Polish literary critics, a poetry slam, a poetry reading night, and an Award gala directed by Wiktor Rubin.